Founders sell better than sales reps. Here’s Why! 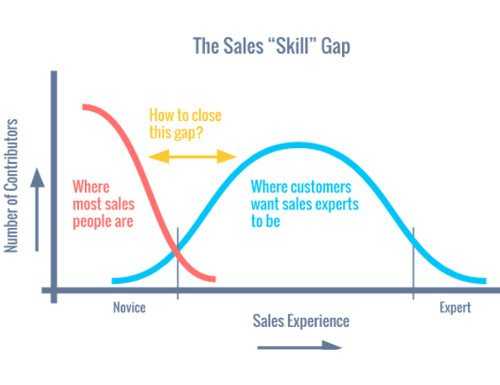 Over the years, we’ve all observed a huge sales gap between our founders and sales reps. Our CEOs and founders are better at selling than most SDRs (Sales Development Reps) in the company. Coming to think about it – it’s not surprising actually. Founders typically have gone through the churn- identified a pain-point, conceived a solution around it. Then they went about building the MVP, and convinced angel investors to fund for their product development. So, naturally they know whom to sell their product, how to sell it, when and why. What makes the founders naturally successful at sales? Founders know what makes their product a great match for their clients. They know their Sweet Spot. They understand the context really well. When I say context – it is not just another piece of data. You need to understand the prospects and they need to feel that you understand them. Remember – founders don’t simply “sell”, they try to solve problems of their customer and ensure that their relationship with customers is meaningful. Let’s turn to the SDR sales gap now. Most people would say – it depends on the quality of the leads generated, which determines whether or not the SDR might close the deal. In other words, the SDR’s mostly tend to qualify the leads by having an exploratory call with the prospect and do some background research. On the contrary, when a founder sells – it mostly begins with networking and established relationships. What it means is that the founders know the context of why they are selling to a prospect, the intent of the prospect at that point in time, the product fit to the prospect’s environment, intended use, and more. What if you, as an SDR, had that information? I assume you will soon be on par with your founders in terms of your sales conversion numbers. What if, on top of that information, you can also group your prospects into segments, based on their common needs and characteristics? This would tell you precisely how likely they are to use your products/services, and thereby, improving your productivity. Isn’t this Gold? The key question is how I pull out the needles from the haystack? Getting this information to be able to use it is indeed like finding needles from haystack. However, recent advances in Technology has made even this possible. With the help of AI-based Sales intelligence toolsyou can now identify buying signals. Signals can mean any attribute that give you an insight into aspects that go in a prospect’s buying behavior, and during decision-making. In other words, the factors that you would look for in your prospective customer – to ensure a great fit. To determine the signals to look for in a prospect, you may base it on your historical success with certain kind of customers, or on whom you are targeting, what behavior you wish to drive, and more. The key sales gap is – whether you can identify and quantify customer intent and product fit for all the prospects in your list? Especially, if you are selling in a mature market, where there is a lot of awareness about your product category. Intent data can be of great help to you, because you can focus and prioritize on the prospects that are interested in your product and are a great fit too. A tool, such as Fiind Smart signals platform, can make sure that every sales rep on your team has the same edge as your top performer or even your founder. This AI-enabled platform collates the buying signals of your prospects based on where they are in their buying cycle, from both internal and external sources, to your martech environment. In short, you can pursue only those leads that matter – the ones that have a great product fit (with what you offer) with a high buying intent. Then, it is all up to individual skills to close deals and improve productivity. The key is to get all relevant data in one place. It is more critical than ever, because – 90% of sales activities happen outside of CRM: meetings, presentations, emails, attachments, phone calls, follow-ups, etc. What this means is that the data you need resides in different places, such as email, laptops, and hard drives. So, when you use an AI solution for lead scoring, ensure that you integrate across your CRM, marketing automation and other business applications. It is about contextual information and insight, that can be actionable. Knowledge is no more power, it’s the application of knowledge which will make you powerful. Ready to add power to your sales armory? ShareShare Founders sell better than sales reps. Here&amp;#39;s Why! LikeFounders sell better than sales reps. Here’s Why!